Straight Shot is an unparalleled program exclusively designed to launch musical skill. 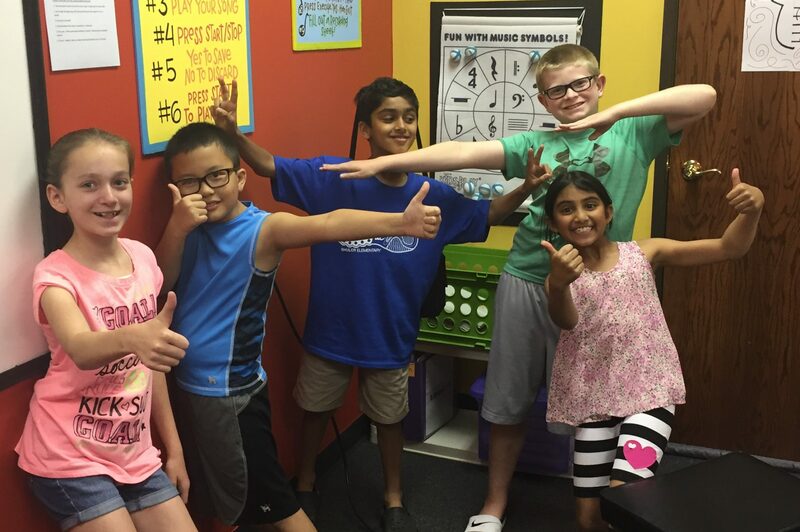 By attending lessons twice-weekly and practicing twice daily, students accomplish an entire school year curriculum in a single summer! Prepare to engage your student in music this summer and watch them become a Mighty Musician! Every choice has flexible scheduling, so you don’t have to miss vacations or summer camps. Best of all, your student will have built in motivation to stay on track with their instrument and have a blast! Boot Camps are 1-hour small group, interactive events geared to improve fundamentals such as note reading, rhythm, chords, or improvisation through fun and motivational music games. 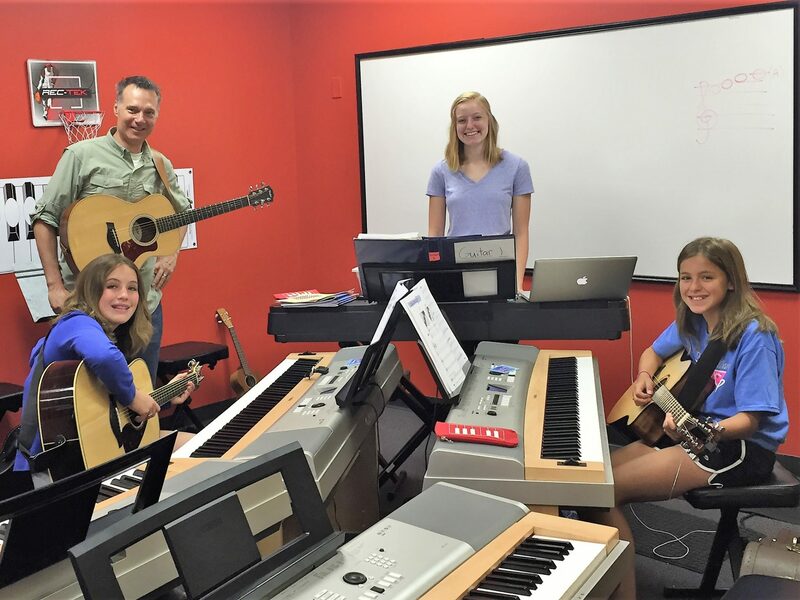 At Arrow Academy of Music your young musician will develop a lifelong love of music in a creative group setting that makes music lessons fun and rewarding! Your student will be placed in a small group according to age and skill level. This team of students will learn and grow together, being motivated to practice consistently at home because they play with other musicians at each weekly 55-minute lesson. Your child will learn note reading, playing by ear, and music theory right from the start. Middle and high school students enjoy deep satisfaction continuing their learning to also include improvisation, creating their own music, and playing “popular” songs they know, all while being with like-minded friends. Your child will thrive with studio events such as the Amazing Music Races, performances, the incentive and shopping programs, and practicing awards. When your student completes the entire curriculum, they will have the skill and knowledge to play pop, rock, jazz, or classical styles in a variety of venues. Group guitar lessons are conducted in 55-minute weekly sessions and arranged at a time that fits your and other families’ schedules. Students receive weekly practice sheets with specific tasks to accomplish, generally taking 15 minutes a day at home on their own, increasing to up to 30 minutes as they achieve a higher skill level. Tuition of $103/month, plus one-time fee $130 materials fee due upon registration. Register by selecting one of the options below!